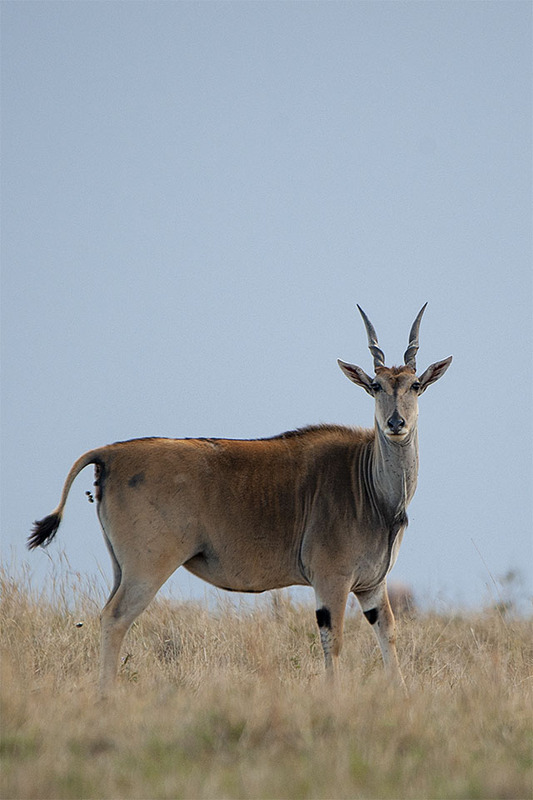 After the amazing sighting of the Lion pride during one of our safaris at the Mara, we moved on in search of other fauna. We stopped to look at this Common Elan keeping a watch on our moves. As we got closer, it scuttled away and Emmanuel our driver and naturalist pointed out that Elans are very shy and tend to keep away from tourists vehicles. As we moved deeper into Maasai Mara, we hit upon this herd of Topis. 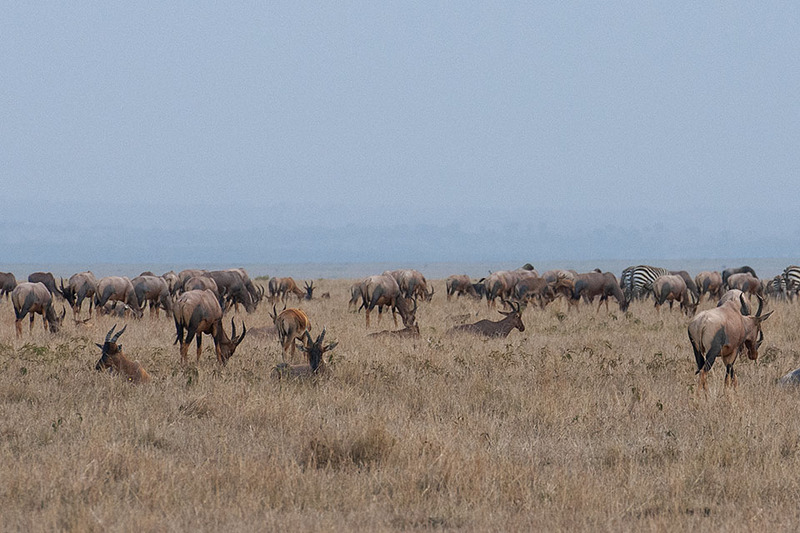 This would probably be the largest herd of Topis that we had seen anywhere in Africa. 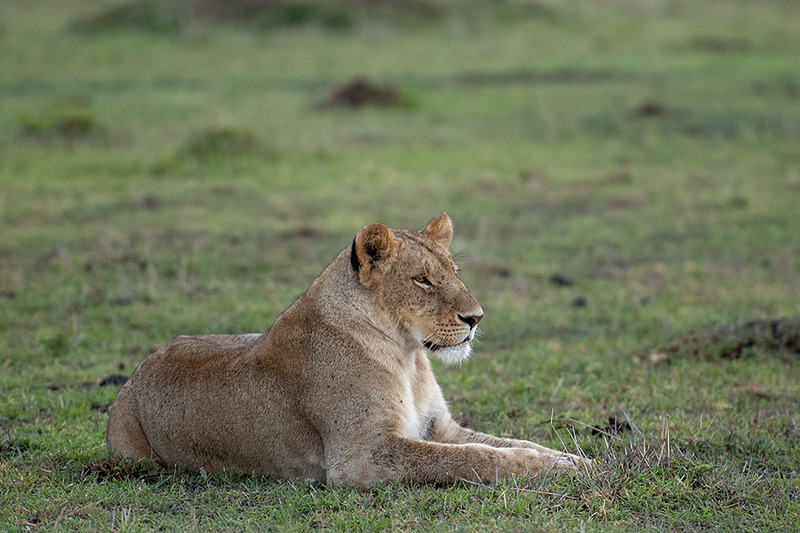 While we were watching the Topis, Emmanuel, who was scanning the savannah, spotted a Lioness far away. We headed towards her to get a closer look. 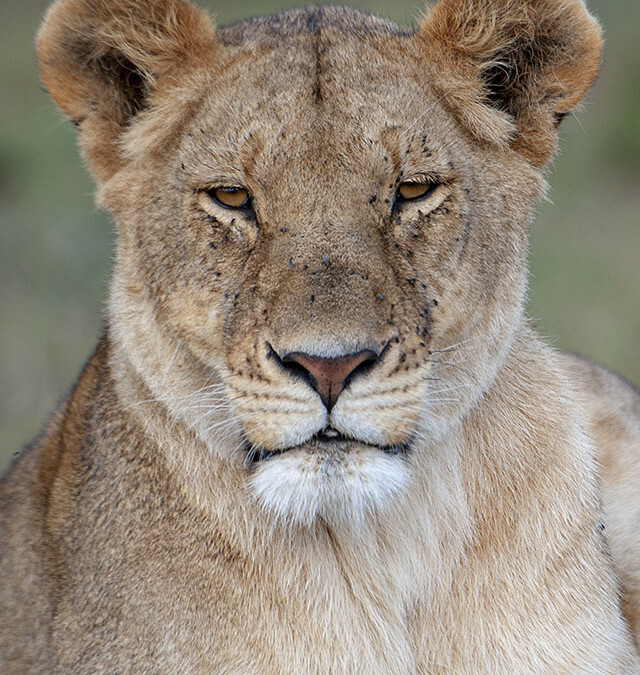 When we reached the location, we saw this beautiful Lioness sitting in the open. 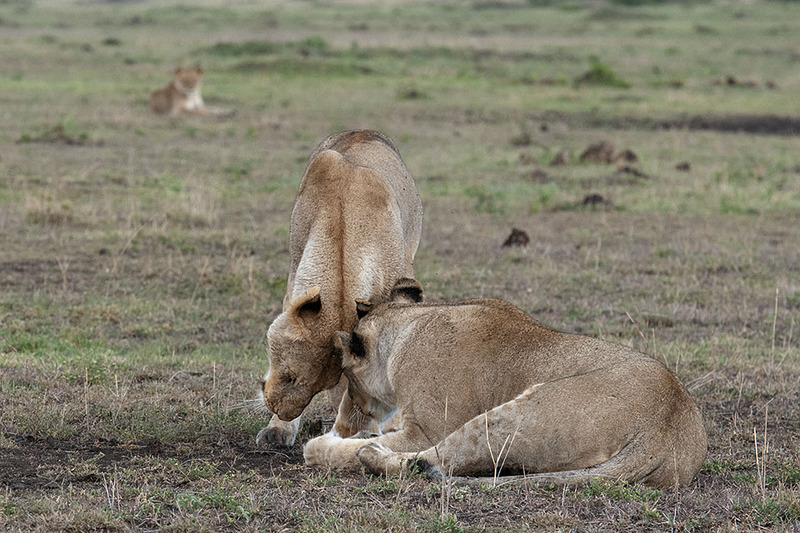 There were three Lionesses, obviously from the same pride, relaxing and socialising before a hunt. We saw one of the Lioness walking towards another one. 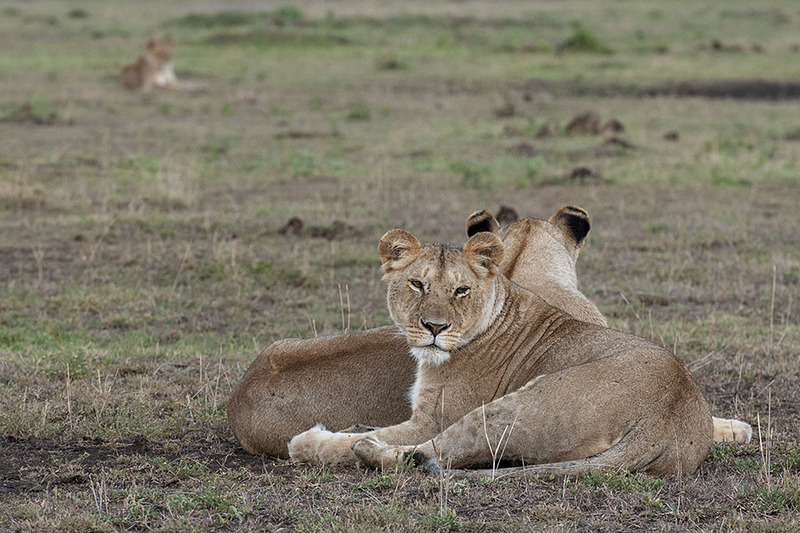 We quickly positioned our vehicle at an angle to get all three Lionesses in a single frame. 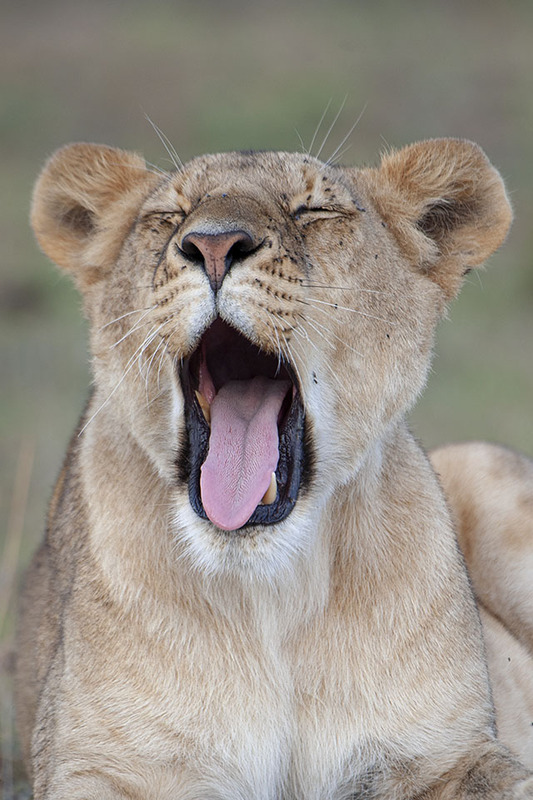 Soon the Lionesses settled down and soon slipped into a slumber. We realised it was siesta time for them and headed back to the Lodge. On our way back, we spotted the African Elephant with calf.